Our trainings and coaching can de delivered presentially (Paris, London, NY) or via Skype. They are conducted either in English or in French. For any question, feel free to contact us. Ferdinand Petra has 10 years of experience in Investment Banking both in London and in Paris (J.P. Morgan and Barclays Capital) in the field of Corporate Finance (M&A, financing and client coverage). Thanks to his experience and his contacts, Ferdinand Petra is at the forefront of any new financial technique, whether it be on valuation, M&A, LBO, or any financial instrument used to finance companies (equity, bank debt, bonds, private placements…). 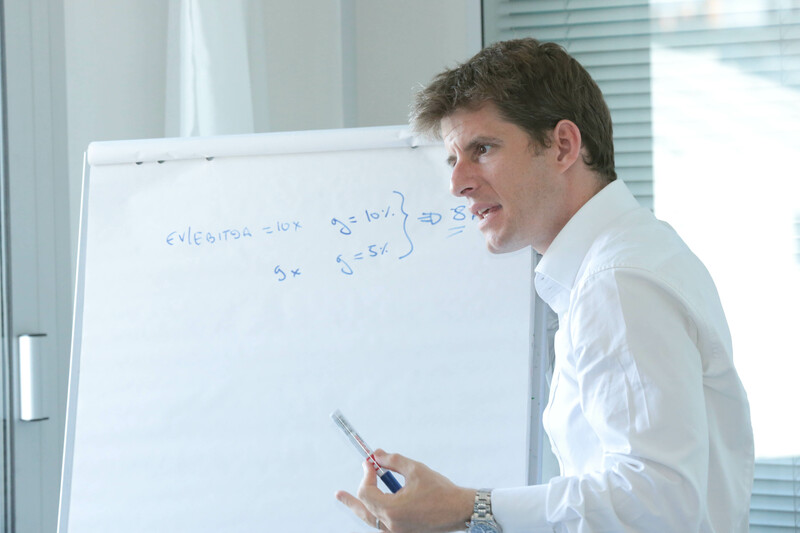 In addition, Ferdinand Petra has been teaching Finance for the past 6 years in both Business and Engineering Schools (« Grandes Ecoles »), and for the past 3 years full-time at HEC Paris. He teaches in the Grande Ecole program, in the Master in International Finance (ranked in average #1 worldwide pre-experience Master in Finance for the past 6 years by the Financial Times) and in the MBA program as well as in the Executive Education program. This pedagogical experience, combined with his technical expertise, allows him to offer and deliver state of the art trainings. Our trainings are conducted both in English and in French. All our trainees are given teaching materials both in paper copy and electronic version like Excel models. In addition, for all our trainings, case studies and exercises are as well prepared and given to our trainees (with answers). Our trainings are totally customizable to companies’ needs and are designed for groups of 1 to 30 individuals. We wish to limit the group size in order to foster an interactive approach. 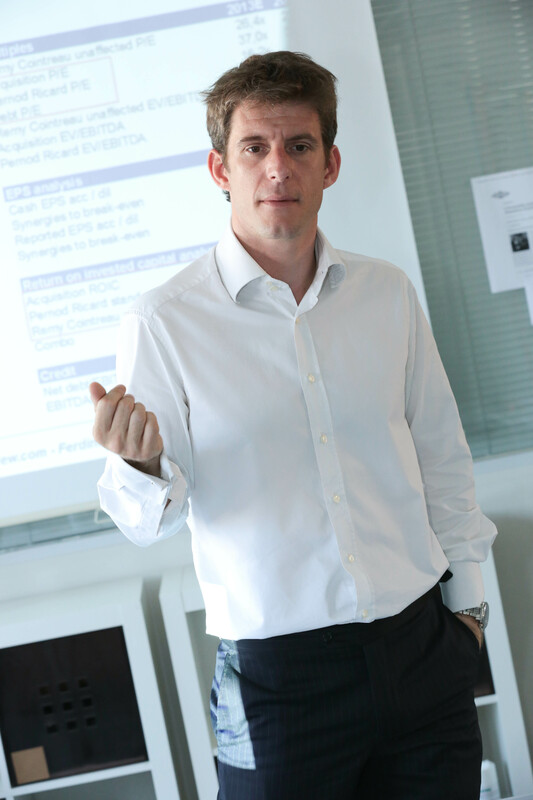 Ferdinand Petra has already developed and conducted for the past 3 years trainings for large corporates and banks like BPI (French Sovereign Wealth Fund – 10+ trainings), SNCF Logistics, Leonardo & Co (how became Natixis Partners – mid-cap M&A house). Do not hesitate to contact us would you wish to get the detailed training feedback forms filled in during our previous trainings. Our company, led by Ferdinand Petra, develops and provides as well trainings to optimize job search and to help individuals to negotiate well any career move. Indeed, Ferdinand Petra has 5 years of experience in coaching Business School students in their first job search. For the past 3 years, Ferdinand Petra has devoted 50% of his time to coach undergraduate, MBA and Executive MBA participants who have between 2 and 20 years of work experience, to change job function, sector and/or geography. In parallel, Ferdinand Petra offers professionnal coaching sessions to individual¹ either directly or throuh their employer. Ferdinand Petra is specialized in multi-cultural professional coaching. In fact, as part of his work at HEC Paris, more than 70% of the individuals he has coached (MBA, Executive MBA) are non-French. He has therefore acquired a singular competency in multi-cultural coaching and would like to make it benefit his future clients. The persons coached by Ferdinand Petra are not all working in the Finance industry, on the contrary.